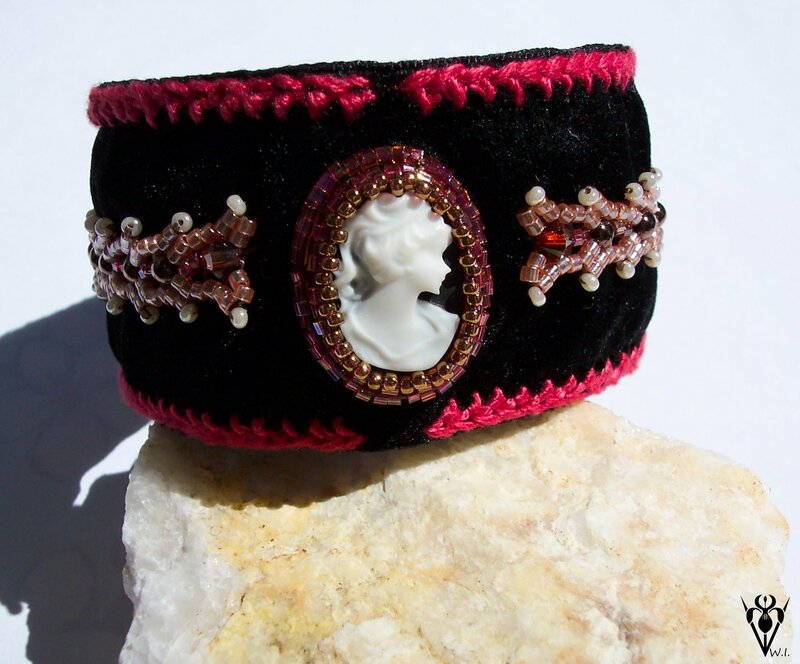 I had some cameos just sitting around and had a burst of inspiration to make another velvet cuff. I tried my hand at embroidery for the border, set the cameo in peyote stitching, and beaded some St. Petersburg chain for embellishment. Below is the final product. I won’t give away all my secrets . . . but I started with two lengths of velvet ribbon. Everything is hand stitched. It doesn’t look like much . . . but I devoted a lot of time to this piece. I like it. 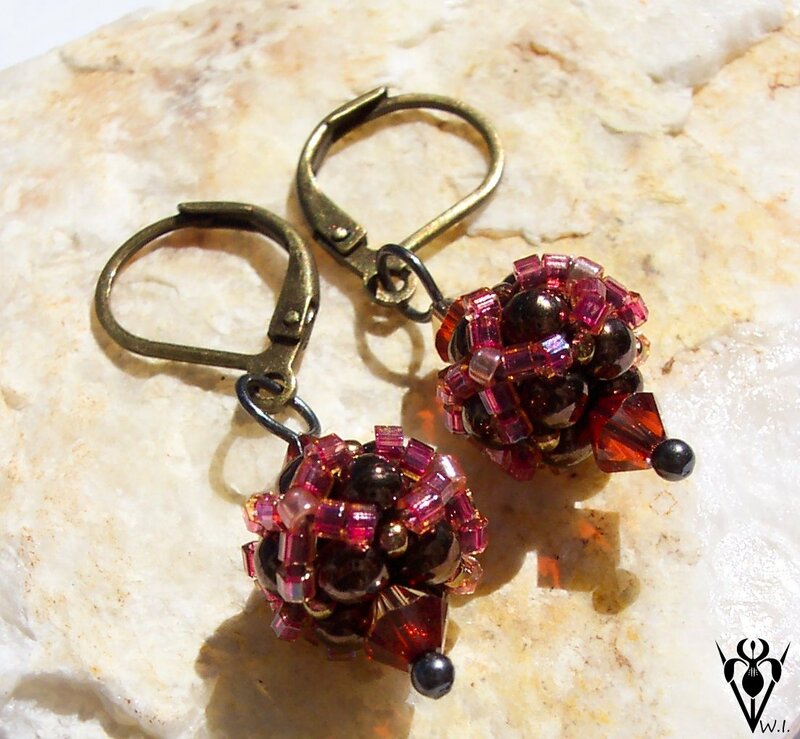 Here are some earrings to go with. 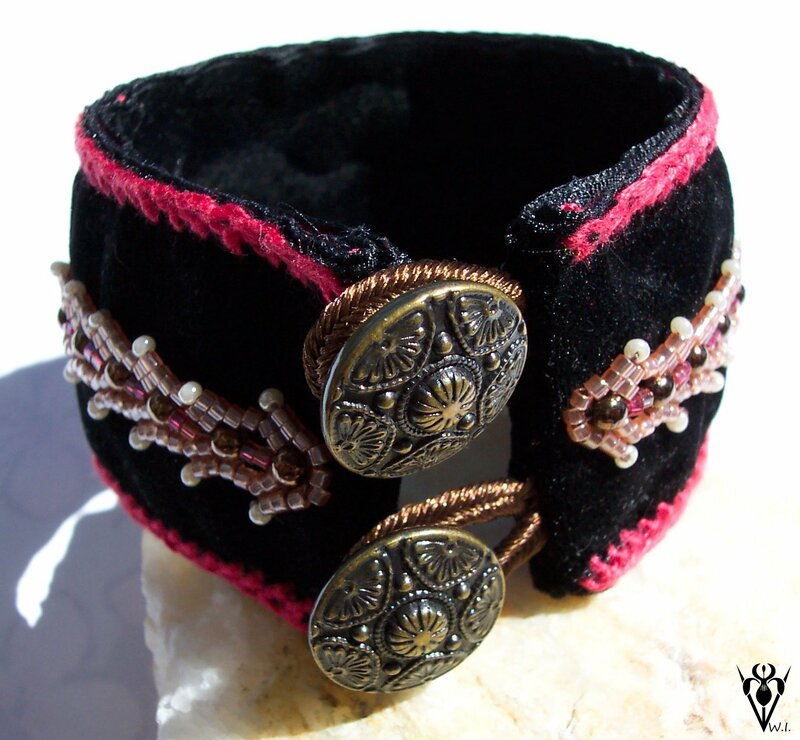 This entry was posted in Bracelets and tagged beaded cuff bracelet, cuff bracelet, handmade bracelet, velvet cuff bracelet by whisperingiris. Bookmark the permalink. It is beautiful. You can certainly see the work that has gone into it.